“Old Man Winter” is here again, affording the perfect time to pamper your skin. It happens every year: cuticles crack and peel, hands turn to leather, and our cheeks take on the consistency of sandpaper. These are some of the telltale signs that it’s time to give your skin the attention it deserves during the long, cold season ahead. 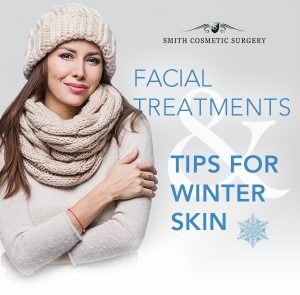 To tackle that, Colorado’s Smith Cosmetic Surgery encourages patients to approach winter skin care with the most effective triad we know: prevention, exfoliation and hydration through physician-directed products. So let’s take a look at some of the ways you can start to use these tools during your daily routine and plan ahead to care for your skin this winter. Maintaining healthy skin in the winter hinges on three keys: prevention, exfoliation and hydration. If we can do more to protect our skin in the first place, it may never escalate to epically dry and cracked conditions. Prevention methods work from inside and outside the body, and it’s important to consider both. What can you be doing to protect your skin from winter’s amplified elements? How can you fuel your body to nourish it from the inside out? First, the elements: It’s cold, it’s windy and, in Colorado at least, it’s also still sunny. While many people spend more time indoors, away from harsh elements, that’s not always the case for active people. If you participate in winter recreation such as skiing, your skin is getting walloped with extreme and prolonged exposure to sun reflecting off snow, coupled with chilly temperatures and whipping wind. Sunscreen is an absolute must, even on those cloudy days. Applying protection to the face, neck and hands (don’t forget those!) is critical even in the winter. People who commute by car, for example, tend to get sunburned on one side of their face, as the rising sun blasts through the window. Constant reflection will also scorch hands resting on the steering wheel. An easy way to counteract this problem is to keep a quality sunscreen in the console and slather on all your exposed parts. Yes, even your hands. 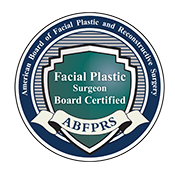 Denver facial plastic surgeon Dr. Brent Smith sees many patients whose hands have aged well beyond their faces. The second sneaky feature of winter is the damage skin sustains even while we’re indoors. As the heaters kick on, they further dry out the air and add dust and other particles to our homes. Meanwhile the sun may still be baking and reflecting through windows, while a skin-sabotaging fire roars in the background. It may feel cozy, but your skin is screaming for a little TLC. Especially in the winter, skin needs a sustainable way to replace the water it’s losing through environmental exposure. The most effective way to hydrate your skin is through the fluids and foods you take in each day. That means drinking more water, which can be a struggle for many people. Consider this your winter challenge. Think of new ways to add variety to your water intake. Heat it up and add lemon. Keep a replenishing bottle of water with cut-up cucumbers in the fridge. Add a dash of a vitamin C packet once a day if you need to. The foods you eat in winter also affect the health of your skin. While most people are drawn to warming comfort foods during cold snaps, don’t neglect those fruits and vegetables. Plant-based foods are packed with the natural nutrients and fluids your body and skin are craving in the winter. This may sound like the ultimate contradiction, but there’s nothing more important than stripping away old skin during the dryer months. It’s counterintuitive because most people think adding more moisturizer to the face will hydrate it best. But the opposite is actually true. When you pile on lotion to try to smooth the papery look of your cheeks, it does very little good because you’re adding salve to dead skin that can’t absorb all its goodies. Exfoliating is really the only way to remove the layers of skin that you don’t need so you can expose the ones that help you glow. When you get to the newest, freshest layer of skin anything you apply will be more effective, reaching further into the epidermis. So what are your exfoliation options? There are lots of manual over-the-counter products, such as an electric exfoliation facial brush or scrubs with micro-beads that help remove old skin. These may be moderately effective with regular—but not over—use. However, the optimal solutions are doctor-directed treatments, such as microdermabrasion, chemical peels and laser procedures. At Smith Cosmetic Surgery, the secret is out. Winter is absolutely our busiest time, as patients want that summer glow for holiday parties or a mood-booster to get them through the winter doldrums. A youthful appearance in the middle of winter has a magical way of lifting the spirits. A popular wintertime treatment with virtually no downtime is microdermabrasion, a speedy in-office procedure that uses a custom copper wand with a gently suctioning tip to smooth and remove layers of skin. Counter to popular belief, microdermabrasion is not a laser-based treatment. The tool used during this minimally invasive technique is a highly efficient technology all its own. A chemical peel can also be a smart complement to microdermabrasion. The naturally occurring acids in today’s modern chemical peels penetrate deep into newly exposed skin to bring a superior level of healing and replenishment to deeper layers of the skin. Combining these two treatments can give you that glowy look for a longer period of time. Of course, for those patients who want something a little stronger to reverse the signs of aging, winter can be a great time to schedule a full facial CO2 laser treatment. In fact, Dr. Smith jokes that “the laser is never off” in Colorado’s driest months. With a little more flexibility to recover during winter’s downtime, patients regularly book our CO2 laser. An advanced laser’s ability to penetrate far into the dermis provides that added boost of anti-aging and collagen regeneration that patients love. Winter is a great time to consider physician-directed exfoliation services and skin-care products. Last but certainly not least are the products you apply to winter-weary skin. Remember, nothing will work on top of dead skin and anything will work better on exfoliated skin. But what you use to enhance and prolong the look of more youthful skin is of the utmost importance. We hate to be the first to break it to you, but even the most expensive over-the-counter skin-care products might be a waste of your money. The most effective applications for skin care are those products trialed, tested and directed by doctors. 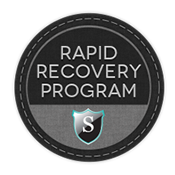 Smith Cosmetic Surgery has found one of the most successful lines on the market—a treat that we share with all of our patients. Our physician-facilitated SkinMedica line leverages a hyaluronic acid called HA5. The maker describes it best: “Hyaluronic acid is a natural, ‘water-loving’ substance found in the skin—acting as your body’s natural hydrator.” HA works by retaining that vital moisture, which can make the skin look healthier and more supple. By age 50, most humans have lost half of their naturally hydrating HA, so a product that can replenish what time has taken away is an ever-popular product in our office. Interested in showing winter whose boss with a healthier, HA-boosted new you? Ask us about our SkinMedica products, microdermabrasion procedures and prevention tips. We’re ready for the season. Are you? Contact us online or call us at 888-219-1161 to learn more about our hydrating products and procedures that can help you—and your skin—flourish this winter season.